Ideal for European-based audiences, the additional fee covers UK-based web hosting. Free for the first year, your domain name renews at $19.88 for the following year. Select any Shared Hosting plan to start building your website in minutes. Move your website to Namecheap for free! Why choose Shared Hosting from Namecheap? Deploy WordPress in seconds with our Softaculous app installer, which makes updating and maintaining your open-source applications a breeze. Considered the best control panel that’s available worldwide, cPanel gives you full website control via your browser. Enhance datacenter efficiency with the PowerEdge™ M1000e Blade Enclosure, Dell’s state-of-the-art shared infrastructure. Here every component is fully redundant, from power supply to the network card, featuring high-speed SAN that delivers unparalleled uptime, performance, and reliability. The result? 100% uptime, every month. We take great pride in our dedicated customer service. Working around the clock, we’re always available via Live Chat while our Helpdesk can assist you with all your Shared Hosting service needs—whenever you need it. Our 30-day money-back guarantee Only new accounts are eligible. Refers to the amount of space to store your website files, databases, emails, and more. Our web servers are all RAID-protected with redundant fault-tolerant hard disks. Also referred to as “data transfer,” this is the amount of data that can be transferred between your website and Internet users. Refers to the monthly measurement of your server’s accessibility to the Internet. Number of domains with their own web sites, email accounts and DNS records that you may host under your cPanel account. Additional domain names that are hosted in your account, but don't have their own content. They point to the contents of the primary domain. Subdomains allow you to create separate websites as subsections of your domain. For example, support.namecheap.com is the subdomain of the namecheap.com domain. Although we perform regular backups internally, you can request the latest backup if you need it. The leading control panel which allows you to manage your content, email and FTP accounts, etc. (demo). Your “Internet Protocol” address refers to the unique number that is linked to all your personal online activity. Also may be used for your SSL certificate. Our drag-and-drop editor to easily create your website without knowing any code. All of our hosting plans include the Softaculous Apps Marketplace. This includes over 100 free Apps like WordPress, Drupal, Joomla, Magento, Zen Cart, Cube Cart, SMF, photo gallery and other software. The PCI (Payment Card Industry) enforces security standards to protect credit, debit, and cash card transactions. Amount of users that can be created in your account to use FTP connection. It allows you to connect to the server, upload/look through the uploaded files to the server. If you’re not fully satisfied with our service, you can receive a full refund within a certain time frame. You can register and set up your own nameservers for your domain (personal nameservers usually look like this: ns1.yourdomain.com and ns2.yourdomain.com). Total amount of email accounts that can be created for all your domains and subdomains in the hosting account. This feature allows you to forward a copy of any email sent to one of your email accounts to some other email address. These allow you to configure automatic email response messages. For example, a vacation notice. An interface which is used to access your mail via web-browser. We offer Horde, Squirrelmail and RoundCube webmail interfaces. Standard protocols that can be used for email sending and receiving. Spam protection tool installed on our servers which can be easily enabled and configured through your cPanel. This feature allows you to create a list of email addresses and send them an email by specifying a single address. Allows you to receive all emails that are sent to an address that does not exist to the default email address created in your cPanel. This record will specify which machines are authorized to send email from your domain(s). Only mail sent through these servers will appear as valid mail when the SPF records are checked. An e-mail authentication system that allows for incoming mail to be checked against the server it was sent from to verify that the mail has not been modified. BoxTrapper protects your inbox from spam by requiring all email senders not on your Whitelist reply to a verification email before you can receive their mail. CSV Import (Email & Forwarders) ? This feature allows you to use .csv files to create multiple email addresses or email forwarders for your account simultaneously. An advanced and user-friendly email filtering solution that allows to protect your account from both incoming and outgoing spam. Open source relational database management system that is used by CMS-software (such as Joomla, Drupal, WordPress) to store and retrieve all your blog information. A third-party tool included with cPanel, used for managing MySQL databases over the Internet. Based on an object-relational management system PostgreSQL databases that allow you to manage the data which is used with CMS-software such as MediaWiki, Drupal, OpenCms etc. A third-party tool included with cPanel, used for managing PostgreSQL databases over the Internet. Web-server version installed on our servers. Scripting language versions installed on our servers. PHP version can be selected in your cPanel account. Node.JS 6, 8, 9 ? Scripting language versions installed on our servers. Python version can be selected in your cPanel account. Scripting language versions installed on our servers. Ruby version can be selected in your cPanel account. Relational database management system version installed on our servers. Common Gateway Interface defines a way for a web server to interact with external content-generating programs. The program run by CGI can be any type of executable file. For example, you can use Perl, Python scripts, or other, similar languages. A high-level, general-purpose, interpreted and dynamic programming language which is installed on our servers. Server Side Include – is a server-side scripting language used for creating dynamic webpages by inserting the content of one file into another. Secure remote command line access to your account. Jailed SSH gives you limited shell access where only basic shell commands are allowed, and the usage is limited to your account. To get jailed ssh enabled please submit a request to our helpdesk. An eAccelerator increases the performance of PHP scripts by caching them in their compiled state, and optimizes php scripts to speed up their execution. xCache accelerates the performance of PHP on servers by caching the compiled state of PHP scripts into the RAM. Allows you to download a zipped copy of your entire site or parts of it onto your computer or restore parts of your hosting account by uploading your partial backup zip file(s). With ClamAV™ Virus Scanner you can scan your mail, entire home directory, public web space and public FTP space. You can easily configure your domain name for Google Email, Calendar and Docs using this feature. Allows you to resize an entire directory of images to your preferred size and store them in a folder called thumbnails, resize individual images and convert one type of image file to another. This allows you to manage apache handlers. Apache comes configured to handle CGI scripts and server-parsed files. You can configure Apache to handle a new file type with an existing handler by manually adding the handler and extension. This prevents other websites from directly linking to files on your website (e.g. restricts displaying your images on other websites). They will still be able to link to any file type that you don’t specify. A feature which is used to deny access to your site from a specific (or a range of) IP address(es). This allows you to customize the way a directory will be viewed on the web. You can select between a default style, no indexes, or two types of indexing. A feature which sets the maximum number of logins that can occur within a 2-hour time limit in order to protect your site from brute-force attack. This allows you to create mailing lists and use a single address to send mail to multiple email addresses. Use this to specify how certain file extensions are handled by web browsers. MIME types can allow browsers to handle new technologies as they become available. These allow you to find out the IP address of any domain, as well as DNS information about that domain, or trace the route from the computer you are accessing cPanel from, to the server your site is on. Use GnuPG key to encrypt your outgoing emails. Messages are encrypted with a public key. Only the intended recipient, who has the private key, can decrypt the message. This allows you to send all visitors of a domain or particular page to a different URL. Allows you to create a special folder, called /scgi-bin, inside your /public_html directory in order for the scripts placed in this folder to be handled as CGI scripts. This set of features allows you to access several lists to view information regarding your server. This can be helpful when troubleshooting both hardware and software issues. You can easily change cPanel interface language using "Change Language" feature. Use a Web Disk account to manage, navigate, upload, and download the website's files as if they were on your local drive. Set a password to protect certain directories of your account. When visitors attempt to view that directory via the website, they will be asked to log in. You can manage all PHP settings with the help of your local php.ini file, such as whether global variables are turned on or the default directory to upload files to when writing upload scripts. Cron jobs are scheduled tasks that take place at predefined times or intervals on the server. Often, a cron job is a series of simple tasks executed from a script file. Simple DNS Zone Editor ? This feature allows you to create and delete A and CNAME records for your subdomain names. Advanced DNS Zone Editor ? This allows you to create and edit DNS records (A, TXT, CNAME, SRV) for your domains and subdomains. Install PHP PEAR Packages ? PEAR packages are collections of functions that allow you to perform tasks in PHP. Perl modules are collections of functions that allow you to perform tasks in Perl. Ruby Gems are collections of functions that allow you to perform tasks in Ruby. 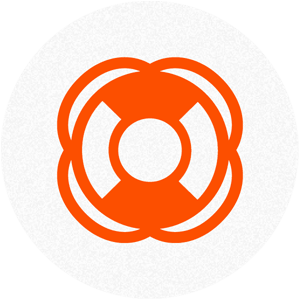 Sign up for CodeGuard - a leading backup, monitoring, and restore service on the web. Access it from your cPanel. Generates and manages SSL certificates, signing requests, and keys. Creates SSL hosts for domains that are attached to your cPanel account. Allows to auto-install single-domain DV SSL certificates purchased at Namecheap. Displays information about who is accessing your website. The information is displayed in graphs and tables, and divided into monthly, daily, and hourly averages. Raw access logs are text files that contain information about your visitors and what content on your website they have accessed. This feature displays the last 300 errors that have occurred on your website. This can be useful for finding and fixing broken links and misconfigured web applications. Displays bandwidth usage information, allowing you to monitor the heaviest traffic times for your site, as well as help you to decide whether you should get more bandwidth. This shows how you use your account's disk space. This function will show information regarding the last 300 people to visit your website. You can view statistics of server resources usage such as CPU, memory and entry processes. Fully compatible with Google Analytics and Webmaster Tools. Helps to install more than 200 different scripts on your website in several clicks. Using cPanel’s script installer, you can install blogs like WordPress, b2evolution, Open Blog and more. A content management system (CMS) is a computer application used to create, edit, manage, and publish content in a consistently organized fashion such as Joomla, WordPress, Drupal etc. You can create your own helpdesk and client area by installing support systems like Vision Helpdesk, osTicket, HESK, etc. Online discussion sites where people can hold conversations in the form of posted messages. Software which is used for buying and selling of products or services over electronic systems such as the Internet and other computer networks. A free, database-driven web-based application for creating and maintaining Frequently Asked Questions (FAQs) on your site. Full billing/invoicing applications which are perfect for web hosting resellers and are used to handle clients, orders, invoices, notes and help desk. Software which allows you to upload images to your website. Your images will be stored onto a server and the individual different types of code will be shown to allow others to view images. Helps you to create some questionnaire and checklist forms. Allows you to manage your privileges, calendar, contacts, time card, projects, chat, forum, request tracker, mail client, files, notes, bookmarks, to-do list, reminder, voting, language support. A software which is used to build, maintain and manage your personal or business website. A website that allows the creation and editing of any number of interlinked web pages via a web browser using a simplified markup language or a WYSIWYG text editor. We’re always available to customers in our 24/7 Live Chat. Browse our extensive Knowledgebase, read the latest news and announcements as well as submit tickets to our 24/7 Help Desk. When your order is complete, your chosen plan gets automatically set up. To get started, check your “Welcome Email” for your cPanel login details. Receive priority support and faster processing regarding requests. Our migration specialists will transfer your hosting account to our servers from any other cPanel based hosting provider. How do I build my online presence? So much of your personal brand is built around your online presence. In fact, everything you do, say, post, comment or share on the Internet represents your brand. With our Website Builder and other tools offered in our Shared Hosting plans, building your brand online is easy. How do I start using my Shared Hosting account? To turn your new Shared Hosting account into a personal website, simply follow these step-by-step instructions: Shared Hosting — Getting Started. cPanel is a control panel that acts as a separate account, designed for managing your Shared Hosting service on the server. You'll be able to build your website with our Website Builder as well as upload and manage files, create email accounts, and check the stats of your sites — all in one place. Your cPanel login details are found in your Welcome Email. Our Stellar Plus Package offers unmetered disk space, intended only for your website. This space must be used in accordance with our Acceptable Use Policy (AUP), in particular Paragraph 10.2. Only first-time Shared Hosting customers are eligible for our 30-day money-back guarantee. For example, if you previously created an account with Namecheap, subsequently canceled and signed up again, unfortunately you are ineligible for a refund. The same scenario applies to those who have already opened a second Namecheap account. Our 50% discount offer only applies to first-year purchases. This discount offer does not apply to renewal purchases.